On May 13, the project SEE UKRAINE: DOCUDAYS UA ON TOUR started in Athens. On the eve of the opening the managers of the Exile Room, the main festival venue in Greece, refused to host the festival events after radical groups’ call for a protest rally near the location. 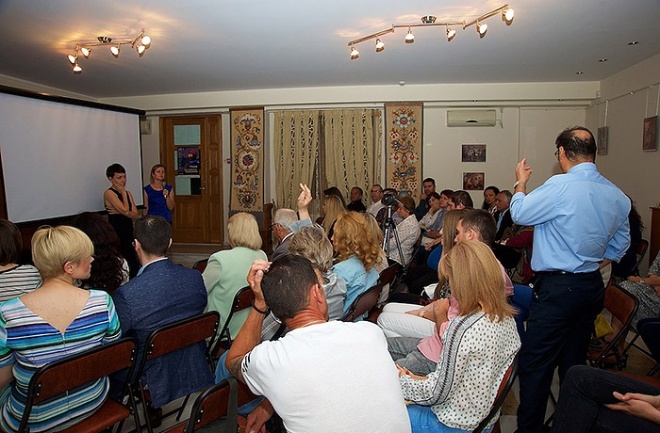 The organizers addressed the Embassy of Ukraine to the Hellenic Republic urgently with a request to host the screenings and discussions in its premises. In the evening of May 13, while the film “Euromaidan. Rough Cut” was being screened at the opening of the festival, the rally of pro-Russian forces, who called themselves “Greek anti-fascists”, gathered next to the Exile Room. After the meeting, a group of young people headed towards the gallery which would have to host the Ukrainian photographer Oleksandr Hliadelov’s exhibition “Hey, brother?”. They threatened the gallery owners and accused them of supporting the Ukrainian nazis. It is reported that the local radical sources spread false information about the project “See Ukraine”, distort the facts and accuse the organizers of the attempts to slander the residents of Crimea and Donbas, although the program contains no films on a similar topical. During three days, the viewers in Athens had the opportunity to watch short films of Ukrainian filmmakers: “Doctor comes last” by Svitlana Shymko and “Sirs and signors” by Oleksandr Techynsky. Moreover, the discussion “Where is Ukraine heading after Euromaidan” was held, involving Ukrainian-Greek experts: philosopher Volodymyr Yermolenko, journalist Tetyana Oharkova, Greek professor of geostrategy Nikos Liheros and historian Michalis Varlasa. 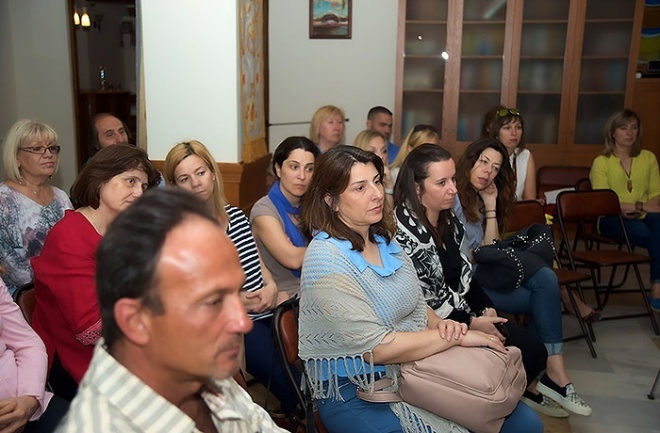 The festival team truly appreciates the assitance of the Association of the Ukrainian Diaspora in Greece “Ukrainian – Hellenic Thought” in organizing the film screenings of SEE UKRAINE: DOCUDAYS UA ON TOUR, as well as the Ukrainian Embassy which agreed to host the events. For the time being the team of SEE UKRAINE has suspended the second part of the project, scheduled for May, 26-28, with the aim of finding more secure venues.